Alexander and Tobias Royall. Two brothers. One smuggles tea to New England ports on his ships to avoid paying an unjust tax, the other is a prominent lawyer who supports the crown. One resides in Royall House East, the other in Royall House West. Both have wives and children who also have their various political beliefs. While the colonies of New England are on the precipice of revolution against the crown, the Royall family is about to explode with a revolution within the walls of their homes. Who can be trusted? Brothers, sisters, house servants, and townspeople are all shrouded in a cloud of suspicion, mystery, murder and betrayal. Royall House contains mild adult language. Parental discretion is advised. 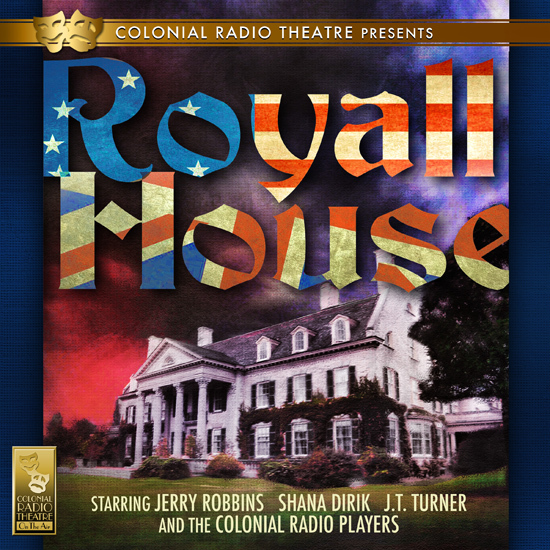 In the tradition of classic radio plays, with a full cast, music, sound effects, all digitally recorded, the award winning Colonial Radio Theatre On The Air is proud to present this spectacular production - "ALABAMA!" 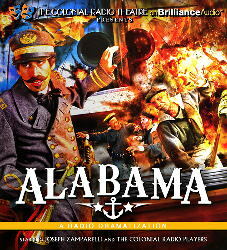 - the story of the famed Confederate Warship and scourge of the Union shipping fleet during the American Civil War. Built in secrecy for the Confederate States Navy in England, she captures or burns 65 Union vessels and takes more than 2000 prisoners in her short career - which comes to an end off the coast off Cherbourg, France, when she encounters the USS Kearsarge. John Barrymore was the black sheep of America’s most illustrious acting family. Celebrated for his charisma and matinee idol looks, he was for awhile America’s most popular actor. Famous for his stage roles in Richard III and Hamlet, he also made more than fifty films. But alcoholism soon dissipated his talents, and he became known more for his Falstaffian behavior and outrageous high jinx than for his art. 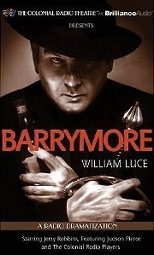 In Barrymore, William Luce has adapted his acclaimed Broadway hit especially for audio in this stunning production. New England. 1898. The Prescott Family is Boston. In that bygone golden age, Patriarch Charles presides over both his shipping line and family with a sure and strong hand, while wife Jocelyn is feeling her authority usurped by her powerfully minded mother-in-law, Augusta. Their children, Marietta, Aurora and Barton find themselves trying to make their way in a constantly changing world - filled with social upheaval and technological advancements. The Prescott's house staff goes about their duties under the supervision of the taciturn butler, Williams. 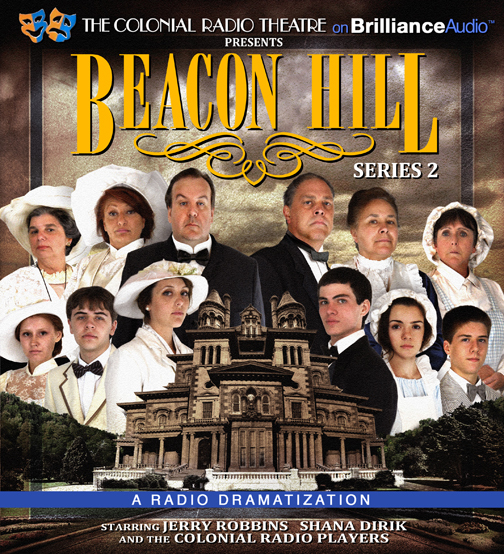 Effortlessly integrating historical events into it narrative (including the second running of the American Marathon - later re-named the Boston Marathon), and filled with intrigue, warmth, and drama writ large, the Colonial Radio Theatre invites you into the Prescott household for an evocative, unforgettable depiction of Boston life as lived by those who set the pace. vBEACON HILL contains adult language and content. Parental discretion is advised. New England, 1998. In that bygone golden age, Patriarch Charles presides over both his shipping line and family with a sure and strong hand while his wife Jocelyn wants to become more active in local affairs. 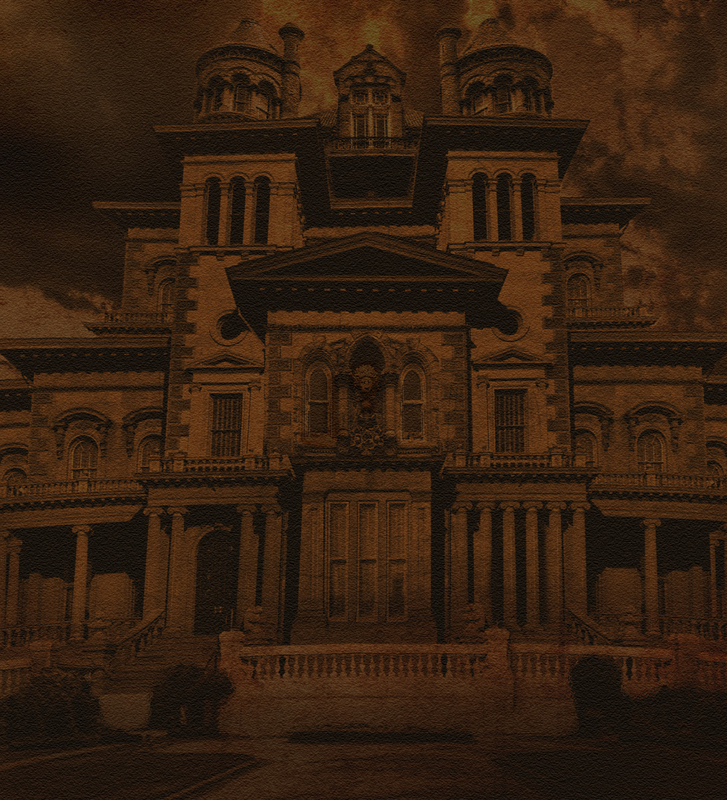 Their children, Marietta, filled with social upheaval and technological advancements. Meanwhile, The Prescott's house staff, under the supervision of the taciturn Williams, is charged with keeping the house in order - a task made far more complicated by the constant interference of the family and Charles' sharp-tongued mother Augusta. Then, of course, there is the matter of the Hull family, whom Charles bears a grudge against for reasons unknown. 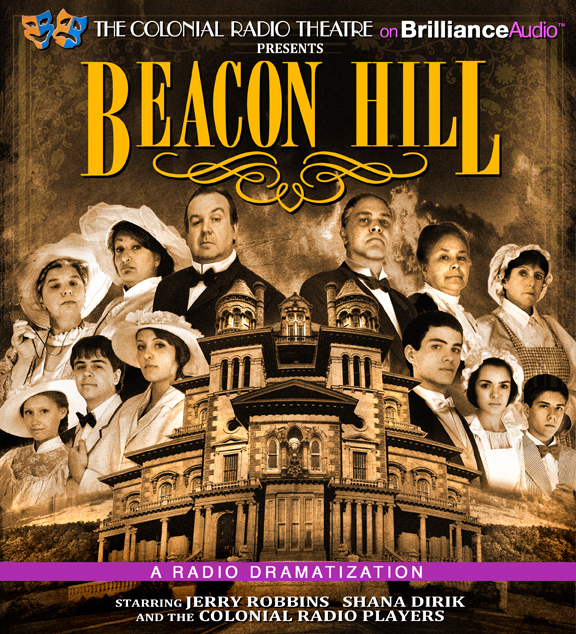 Effortlessly integrating historical events into its narrative, and filled with intrigue, warmth and drama writ large, the Colonial Radio Theatre invites you into the Prescott household for an evocative, unforgettable depiction of Boston life as lived by those who set the pace. BEACON HILL contains adult language and content. Parental discretion is advised.